It's Friday and I'm feeling festive! 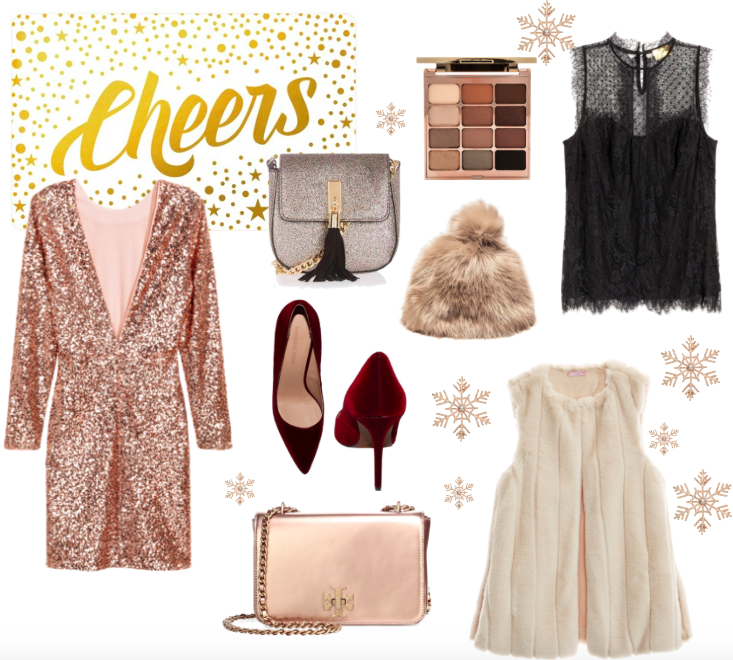 To share the happy I've put together some of my favorite party pieces that I'll be perfect for those fancy fetes and intimate get togethers you may be planning this month. This dress is such a classic LBD and simply stunning on so many silhouettes. Beyond that it also clocks in at under $65. This eye palette will make your eyes sparkle amid the candlelight's glow. 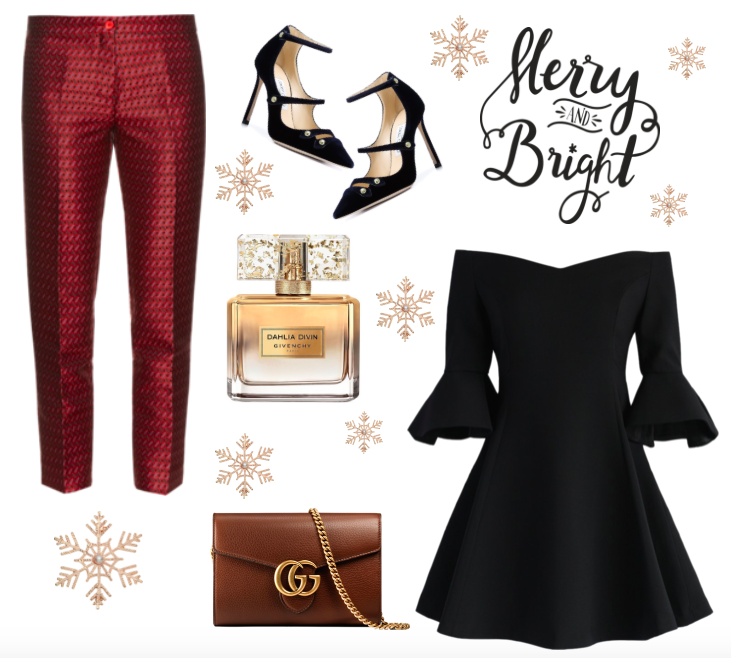 This burgundy velvet pump is the just right gorgeous pop of color and interest-lending element for that fun holiday night. You'll never guess the price... A spritz of this perfume and this beautiful little rose gold bag under your arm are all you need for a fabulous evening of fun! Shop these pieces and more via the links below and have a wonderful weekend!